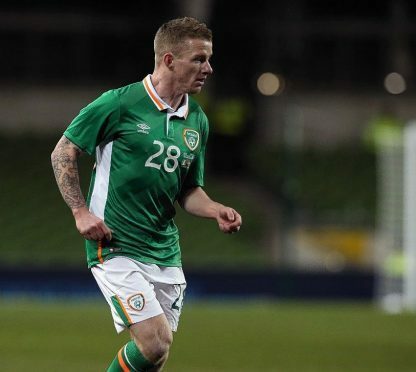 Jonny Hayes: Cardiff have made two unsuccessful bids for the Irishman. Aberdeen midfielder Jonny Hayes has been placed on standby for the Republic of Ireland’s Euro 2016 squad. The Dons midfielder had been named in Martin O’Neill’s 35-man party for the finals in France but it is unlikely he will make the 23-man squad for the finals unless there are withdrawals from the squad. Hayes is joined on the standby list by Paul McShane, Anthony Pilkington and Alex Pearce. Paul McShane, Anthony Pilkington, Alex Pearce and Jonny Hayes.